AACTA is overseen by an Honorary Council of over 50 of Australia’s most outstanding and highly skilled screen craft specialists, each chosen because of their contribution to the screen industry. From serving on influential screen boards and running national and international screen organisations, to being recognised at the leading film festivals and being awarded Oscars®, BAFTAs, AFI and AACTA Awards, Honorary Councillors are leaders and luminaries in their respective fields both in Australia and abroad. 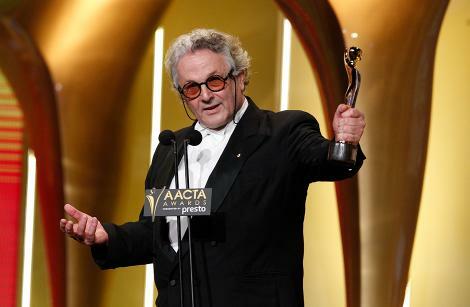 Honorary Councillors represent AACTA’s 15 screen craft chapters: Actors; Animators; Cinematographers; Composers; Costume Designers; Directors; Editors; Executives; Hair and Make Up Artists; Media and Public Relations; Producers; Production Designers; Screenwriters; Sound; and Visual and Special Effects. Over time, the Honorary Council will help determine policy and strategic pathways for AACTA and for the Australian screen industry, in particular assisting in determining the best ways to recognise and award screen industry excellence in Australia.